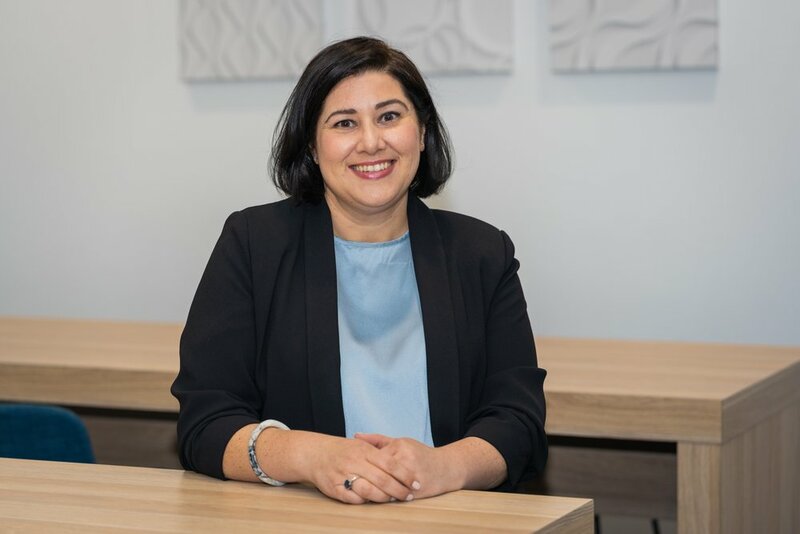 I first met Sarah Gaidzkar when she was Acting General Counsel at Envato, and she had described working hand-in-glove with their tech team using ‘project circles’ and lean, agile methodologies for their legals. Team of three: Sarah as GC, a mid-level corporate lawyer and an a combined Executive Assistant/Legal Operations team member. Volume: two to six contracts per day, mostly on an exceptions basis; plus general in-house advisory on IP, data, liability, termination and projects such as GDPR. Uses Agile methodology to manage matters – Jira and Trello software. Legal requests from business arrive via email, legal ops converts them to ‘cards’ in Trello. See Trello demo on InCounsel. One week ‘sprints’; sizing of tasks according to time and quality – can be difficult to get right and takes practice. Kanban works well for smaller teams. Having a legal ops function has made a big difference. Tech stack includes G Suite (Docs, Sheets, Chat, Meet), which has been amazing for collaboration and remote work. Also uses Slack and EchoSign for e-signatures. Hi guys, and thanks for tuning in. Today we've got the absolute pleasure to have Sarah Gaidzkar joining us on the line. Sarah is an experienced technology lawyer who has focused her career on working for global digital technology businesses both here in Australia and in the United Kingdom. Sarah recently joined PageUp as their General Counsel, having previously worked as Assistant General Counsel at Envato. For a little context on the company PageUp People are a global SAS provider. They're widely known for their recruitment and talent management platform. PageUp is headquartered in Melbourne, Australia and very much an Australian technology success story. So Sara, thanks so much for joining in. Sarah Gaidzkar: Thanks David good to be chatting with you. Indeed and just to I guess set the scene briefly, can you give us a short history of your legal team at PageUp to how it's currently set up? Well like a lot of startups, a formal legal function really didn't develop at PageUp until the company became a bit more mature when there was a real need to have a dedicated company lawyer to help the company grow and manage risk. So the legal function at PageUp started with a part-time, sole General Counsel who managed the work with the help of external lawyers on an as-needed basis. There obviously was a need to expand that role, but the company hired another part-time GC so that GC could continue to work on a part-time basis for PageUp. The company is actually now 20 years old and so as the company has become more of a global presence in the HR Tech space, the legal team is really needed to keep pace which brings us really to our current structure of me as the general counsel; we have a mid-level corporate lawyer also based here at our headquarters in Australia. We have any EA as well who manages our legal operations, which has become a really important role for the team. And as we're rapidly scaling in the US market, we are currently advertising for a part-time corporate lawyer to join our team in our New York office. So very much I guess, becoming an international operation? It is, I mean it's been a global business to some years. But as that US business is really rapidly scaling it's definitely a focus for us at the moment. What type of matters does the legal team typically work on in terms of the type of matters and also the volume? Well the company's core product is a SaaS offering so we have a lot of negotiation of SaaS deals, so software as a service contracts, negotiating those with our customers. In terms of the volume of work, we can really be working on multiple contracts at once with our customers in different regions. So we have a pretty heavy transactional workload. But we also have a have to really be mindful of those time zone expectations as well. So our workload can sometimes occur out of normal office hours as well to account for those time zones. On the more advisory side of things we manage really the same issues that face most SaaS businesses around IP, data, liability, termination. And then of course, there are those more jurisdictional issues around laws that apply to our service like GDPR which a lot of companies have been working on in the last six months. Yeah indeed so big project work and requests from the business and then just to back up on the sort of contracts coming through: you're obviously a provider of SaaS platform is there a lot of I guess sales contracts work and it does every new client that gets onboarded, does that involve the legal team or is it only sort of an exception basis? It's really on an exception basis. There are some deals that are much larger than others. There are some customers that are constrained by certain policies who have to use their own paper for example, which were often not quite fit for purpose for a SaaS offering so that can take a bit of time to try and make sure that we agree on all the positions in those types of contracts. And so typical day for the team you're looking at, you know, a handful of contracts one or two, or is it sort of you know, 10 or more? It depends on the week. It could be anywhere between you know, maybe two and six contracts in any one day that you might be looking at. Obviously a handful of other advisory pieces of work. It might be that somebody's asked you to look into some new laws in a particular country just as a heads up. Somebody might like to launch a new competition and you need to have a look at some of the rules around the regulations around that or it could just be some questions on existing contracts that we've got in place, that you need to have a look at. Yeah, and Sarah when we first met actually you were working at Envato, which is another technology business and in that business, you said something that I've never heard of before that you worked in something called "Project Circles". Is that something or can you describe that briefly and is that something you've carried across to PageUp or do you work in a different way? Look it's certainly something that PageUp does – we work cross-functionally just as a lot of tech companies do so, I guess to explain that terminology ‘Project Circles’: it could just be called ‘project workshops’ in other companies, ‘project teams’ in other companies where you have people from different functions in the business coming together to work cross-functionally on a particular project. It might be a new product enhancement, it might be a new compliance matter that you might be working on to try and implement in the company. It's a really amazing way to get a group together to support each other to knowledge-share and you know, obviously creates amazing efficiencies when you're working together. At PageUp because that split of work is I guess more heavily weighted towards the transactional rather than the advisory work, we tend to work in as much smaller negotiation teams then we would have at Envato but, yes we still join a lot of project workshops and sit on different committees in an advisory capacity. And in terms of the way you guys manage matters at PageUp. Can you just run me through how or an example of how you guys might use any software – if you do use software – how it works from end to end? So I guess when you're working cross-functionally as we do at PageUp, it's really important to make sure you align the way you work. So in the legal team page up with implemented an Agile methodology and some of the Lean - that's LEAN - principles into the way that we work and we do that because we had a look at the way that other teams in the business are working and most of the tech and product teams are working in this way. And so we decided that we were trying to adapt that. We use the, in terms of tooling or software, we use the Atlassian suite, mainly Jira and Trello to manage work that comes into our inbox and to prioritise, size and allocate that work. I guess to give you an example of the end-to-end approach that we would take, we may have a contract for review, piece of work or a question that comes in around a new law which would typically coming to our inbox which is a Gmail account. We're using Trello at the moment, but there are a lot of other electronic kanbans out there that you can use, and David I noted for your listeners, I noticed that you have a demo on the InCounsel blog, so if any of your listeners are not familiar with what we're talking about, it might just give them a visual representation to go onto your InCounsel blog and have a look at your demo that you have there. Thank you and indeed well Trello is the the king of Trello electronic, ah king of kanban boards I should say, so it's pretty familiar to most in tech but only vaguely familiar I think to those in legal but so you're saying yes, it goes, drops into your inbox and legal ops converts that into the card on Trello and where to from there? That's right, well then each Monday we get together as a legal team, each Monday morning we work in typically in one week sprints. Most tech teams out there you'll note, who're using this type of methodology will work in two weeks blocks. We find that one week suits legal work better because most of the work we're working on needs to be delivered within a one week time frame. We get together in that team meeting each Monday morning in our sprint and we talk about all that work that's come into that backlog of tasks, which the legal operations team member has created for us. We go through each of those cards, we have a look at them we decide okay, not only what is a priority for that card, but also we try and ‘size’ it and that's a really hard thing to do. You have a look at the task when you think right, how long will it typically take to do that task. But also we... Together with that we put in an element of quality. So there might be one task that just isn't really strategically important for a company. So we may not take that much time on that or it might just be that somebody's looking for just a heads up, so maybe just some high-level advice at the moment. So we size the cards based on that mix of time and quality. And do you have a categorisation? So I've heard of things being sized as according to... you know, almost like an animal like an elephant is a large task or in tech teams, you typically use a point system. So it might be a one pointer for a very small task or 2 pointer that might take half a day or a three-pointer that might take a day. So it actually follows the Fibonacci Sequence, do you point up your tasks so to speak or give them some sort of labels according to how big they are? Yeah, I think the most of our tech teams will use t-shirt sizing as the way that they will size a task. So they might go from extra small right up to extra large. We found that really hard to fit into legal tasks. So we are using some form of pointing. It doesn't exactly follow the Fibonacci Sequence. But I've been using that in the past and I think it can be really effective. We're actually doing much more simplistic pointing in our team and it's really because this is new to our team and we're working on implementing that, but I think the goal would be to get to something that's more like a Fibonacci Sequence, which I think works really well for points. So we you do use a Fibonacci Sequence, for example, you might decide okay, you do that to limit your work in progress, so you might decide okay, I'm going to do 20 points for the week – four points a day – so that if you suddenly find that you've got many more points of work then you have allocated to each team member then those that those particular tasks really need to carry over into a future sprint. So it's a way to really manage that feeling that you're not overwhelmed on a Monday. It's a way to get control and make some really deliberate decisions over what you're doing and it can be really powerful because it takes that terrible stress out of your team as well. So it's also great for you know, team comradery and well-being. And how is the board typically set up to you have like a column for I guess, newly created tasks and then a column for work in progress. And then a column for completed projects, is that typically how the workflow sits? It is actually, we have a... So where the task come in they come in first instance when they're converted to cards into a ‘backlog’. We also have a ‘pipeline’ for tasks that might just be ongoing tasks like policy development or enhancements to template contracts and things like that that might be things that were working on over a quarter or over the entire year. And then typically we would have in terms of the work in progress, each team member would have a column with their name of the top of it and that's their work in progress for the week. And then we may we also have some additional columns which just suit our team. You can really adapt this and configure it to however you want and we have one for you know work that's with clients or work that's with other internal stakeholders so that we know at any point in time where that piece of work is. And one piece of feedback I've had with Trello from from some legal teams that have tried to use or a kanban sort of structure is that it sometimes can struggle with high volume legal requests or a team that has a high volume of the requests at do you do find that or do you find it quite manageable? And the second question is, you know, what do you do with the tasks that have been completed? Is it just simply archiving them in Trello? Yeah, we archive completed tasks in past Trello boards. So we do it in on a sort of monthly basis, so that we can find those cards that we need to go back to something at any point in time. In terms of your comment around managing high-volume work. I think that can be really powerful to have separate Trellos for different streams of work as well. I think that implementing agile methodology works really well for smaller teams. I think once your team gets much larger and perhaps you're finding that you're getting a lot of high-volume work in that team because you're working for a larger business then it's probably best that you break up that team into smaller teams and then each team would run their own Trello board or perhaps you have Trello boards for different matters, different types of matters. I think that that's one way that you could manage it. So I think that this legal operations role is one that's been around for a while, but it's suddenly getting a lot of focus in teams and I see a lot on social media and a lot on LinkedIn in legal communities around having a legal operations person. So I think if you were finding that you’re really struggling to manage with that, that could be a solution for you as well. Yeah great well it's definitely an area that's got a lot of attention at the moment particularly with the big Corporate Legal Operations Consortium happening this week in London and coming back to Australia again I'm sure in 2019, but just on Trello, what's the learning curve been like for your team? And has there been a lot of implementation and effort and then just add in another question: what's probably your biggest benefit or anything missing from that software? Well, I guess when we talk about software probably would say that this is more about a methodology and a mindset rather than talking about the actual software being used which is really just an enabler. The learning curve can be as difficult as you want to make it, you know, anything new will take some time for some team members to adapt and some people are more open to new things and others. At PageUp the team has really adapted remarkably quickly, but they've obviously had the benefit of my experience having worked in a legal team which uses this methodology, and as I said, they also came with his amazingly positive mindset to really improve the way that they worked. The main issues that they were seeing in the team was that they didn't have visibility around a lot of the work that was coming in. They couldn't keep up with the amount of work that was coming into the inbox and they didn't feel that they had a lot of cross-functional work within the team going on. They didn't know what each team member was really working on at any given point in time. I think however, there's still a lot of improvements that we can make in our team. We've only been working in this way in this legal team for about five months. And I think we can definitely improve the sizing of our work I mentioned before that we're moving towards that Fibonacci Sequence and sizing can be really difficult for a lot of teams. But that really comes with experience and knowing a lot of the work that's coming in and understanding if it's repeat work. You'll start to get to know if there are patterns there and helps you to size lot more effectively. There are obviously a number of variables that will affect different teams in terms of trying to implement this and that learning curve, but I think that PageUp has done really well in implementing this and we're at as I said, we're now at the five month mark and we've got it up and running really well. That's great. And what else is in the stack of software tools you guys use? You mentioned before that you guys are a G Suite shop. So obviously Google is a big part of it, anything else in terms of contract management or any procurement or, dare I say it HR platforms? Sure well we use a lot of tools and platforms at PageUp, yes including G Suite, in fact and I'd be absolutely lost without being able to have those collaborative work tools. Particularly Google Docs, Google Sheets, which I use daily for different pieces of work in the team and with my stakeholders. We also use a lot of the Google we use the Google Chat functions and the Google Meet for our video conferences, which is really really super important for any company that has people that work remotely. At PageUp we have about 200 people working for the company across the globe many even who are based here in Melbourne will work from home at any at any given time. So we need to make sure that we can work remotely and still make sure that we keep that collaborative sense of...and team sense in our work as well. So and it's one that most of our customers will still use and expect us to use for contracting. So we definitely still use Word. And we use a lot of the electronic signing tools as well, like EchoSign and e-sign to make signing with documents much much smoother. And as you mentioned we also yeah, there are other platforms that we use like HR platforms. Of course, we use our own amazing PageUp HR platform for our own recruitment and onboarding. We have an everyday performance app at PageUp that we use in our team for having ongoing performance conversations within the team and we also use succession planning tools that are part of our platform as well at PageUp. And there are a lot of other really great tools out there as well. We use Slack a lot for a lot of Slack groups and messaging, Slack calls for communication as well. And what about contract automation? Do you have anything you know, that's within either Google Docs or Microsoft Office to do some contract or document automation? We're not doing really much contract Automation in this team. As I said, we're finding that where we're doing a lot of the negotiation it's for customers who are really constrained in their own policies. So that doesn't really fit so well into some of those automation tools. So I guess we're really just doing it in more of a traditional sense that we try and streamline our documents from from the start so there's not so much negotiation going on anyway. I guess the final question around the software side of things. Is there anything or any software out there that you wish existed or anything you'd like to know more about? Well, I'm already aware of a lot of great tooling that's out there and a lot of my peers are using some of this great tooling and tell me about these things and I see a lot on social media about this. I'm aware that there's a lot out there and I'm very open to understanding how some of this tooling could meet the needs for our team, but I think at the moment we've got a really good mix of what works for us in legal at PageUp so nothing needed at the moment. Yeah, great. Good to hear and sounds like you've made a lot of projects... a lot of progress on on legal ops and technology and using Agile methodology – early days yet, but it sounds like it's been a great success so far, but first and foremost I wanted to thank you and then and wrap up here, it's been really insightful and great speak to you again Sarah. Thanks David. I've really enjoyed chatting with you and InCounsel. Okay terrific. Talk soon. Bye. InCounsel Weekly: Bite-sized insights for in-house counsel and creative legal minds.